Rail buffs riding the legendary 'Tin Hare' Gulflander rail motor are in for a treat today, as the Normanton to Croydon railway rings in 125 years of service. 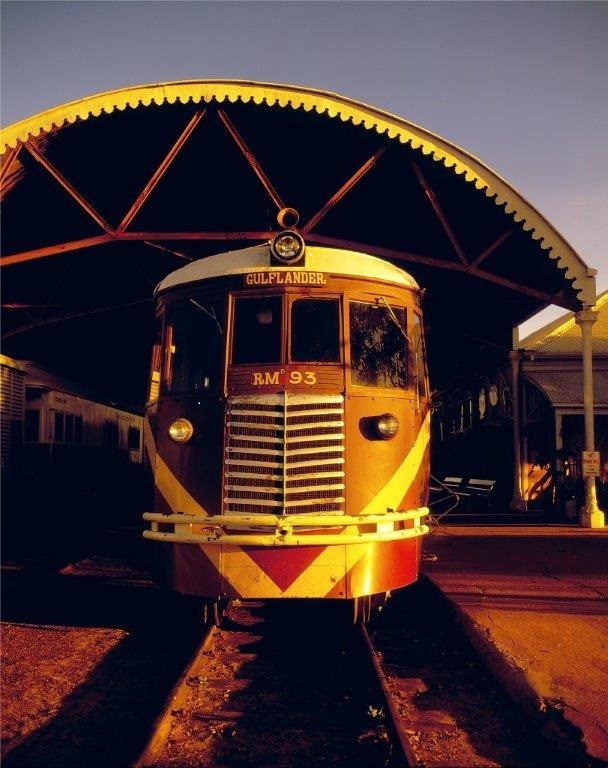 Queensland Rail Executive General Manager Travel and Tourist, Martin Ryan, said a trip on the Normanton to Croydon Railway was on the bucket list of many rail enthusiasts and tourists to the outback. "Built in 1891 to connect the port of Normanton with the Croydon gold fields, the railway is one of the world's most unique rail experiences and the Gulflander railmotor is a piece of living history," Mr Ryan said. "Much of the line is still the original rail and sleepers, with the innovative sleeper design created to lessen flood damage really standing the test of time. "The line was never connected to the state rail network and remains the only one in Queensland still measured in miles." The Gulflander, also known as the 'Tin Hare', is a 102 horsepower Gardner diesel engine railmotor which was built at Ipswich Railway Workshops in 1950. Officer-in-Charge Ken Fairbairn said he never tired of driving the Gulflander. "There's a rich and diverse beauty to this country. With wetlands and grasslands through to arid Savannah, the Gulflander rattles through an area full of pioneering history," Mr Fairbairn said. "There is the preserved Victorian architecture at Normanton Railway Station, Burke and Wills' most northerly camp just 30 kilometres south west of Normanton and Croydon's gold mining history." A fitter and turner by trade, Mr Fairbairn's career has focused on antique machinery giving him an arsenal of skills that most of today's apprentices no longer learn. "I teach my crew on the ground the necessary skills to maintain the Gulflander, so there is a succession plan to ensure it can continue into the future. "Many of the original tools for the old trains are within the Normanton Railway Station museum and I've borrowed them at times to use on the Gulflander. "The old blacksmith forge is still workable and I had to use it once on an engine component. I use the old copper irons for soldering the brass windows of the Gulflander." The 125th anniversary celebrations today (Wednesday, 20 July), include breakfast with the Normanton community before the scheduled Gulflander trip, a birthday cake at the Blackbull siding during the journey and an evening community BBQ at Croydon. The Gulflander carries just 111 passengers and on-board Savannah Guides share stories about the area and point out different flora and fauna species. The Gulflander runs from mid-February to mid-November, with about 2,000 passengers making the famous journey every year. Visitors often stay to enjoy other tourism experiences, creating an economic flow on for the Gulf communities. Make the most of the whale watching season before the majestic marine animals move on. TripAdvisor®, the world’s largest travel site*, today reveals that Australia’s top whale watching tours are in Queensland, New South Wales and Western Australia, as rated by travellers around the world according to the Popularity Index. Queensland is the most renowned whale watching spot, laying claim to five of the top ten Australian tours, namely Hervey Bay’s Freedom Whale Watch, Blue Dolphin Marine Tours, Whalesong Cruises, Tasman Venture, as well asSurfers Paradise’s Whales in Paradise. Humpback Whales rest and play with their young in the sheltered waters of Hervey Bay, also known as the Humpback Whale watching capital of Australia, from mid-July to late November. As whale watching in Queensland typically peaks several months later than NSW and Victoria, it is a great option for the upcoming months. Western Australia’s Augusta is popular for sighting both Humpback and Minke Whales as they seek shelter in the waters of Flinders Bay each year before continuing north for the breeding season. Travellers rank Legend Charters Deep Sea Fishing and Whale Watching and Naturaliste Charters as best bets for a closer look. Featuring 3 of the top 10 Australian tours, New South Wales offers the opportunity to view a huge variety of species, from Humpback Whales to other rarer breeds such as Fin Whales, Sperm Whales, False Killer Whales and even the Blue Whale. Imagine Cruises in Nelson Bay, Coolangatta Whale Watch in Tweed Heads and Cat Balou Cruises in Eden offer just that and completes the list of top ten whale watching tours in Australia. Explore Yukon, one of the last true frontiers, at the newly opened Southern Lakes Resort, overlooking Tagish Lake, just one hour from the capital city of Whitehorse. Stay in luxurious log cabins on the shores of the crystal lake and learn the true meaning of serenity. 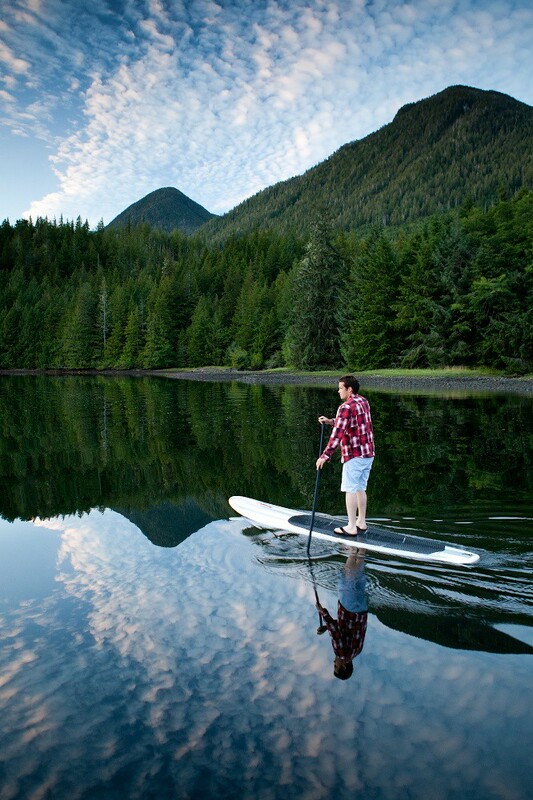 Set amidst the boreal forest, fill the long summer days with hiking, kayaking, and fishing. During winter, the cosy cabins offer the perfect vantage point to view the shimmering aurora borealis. 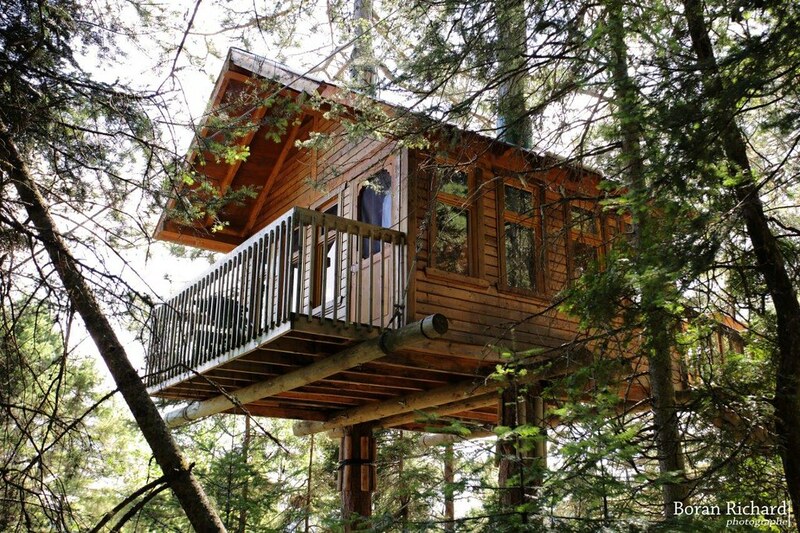 It doesn’t get more ‘wilderness’ than a treehouse. The Parc Adventures Cap Jaseux takes the concept of eco-lodge to a whole new level. Bed down in the tree canopy eight metres above the ground, in a luxurious treehouse that sleeps four. Want more? Futuristic silver domes suspended in the forest sleep two, offering panoramic birds’ eye views of the Fjord du Saguenay. By day, make the most of exhilarating zipline adventures, Via Ferrata, hiking and kayaking. Nestled amongst the white cedar within the Niagara Escarpment World Biosphere Reserve is the award-winning E’Terra eco-lodge, carefully crafted from stone and salvaged timbers for a truly elegant wilderness getaway. Spend your days exploring the trails of the Bruce Peninsula National Park, abundant with extraordinary wildlife and migrating birds, or take a boat across to Flowerpot Island. 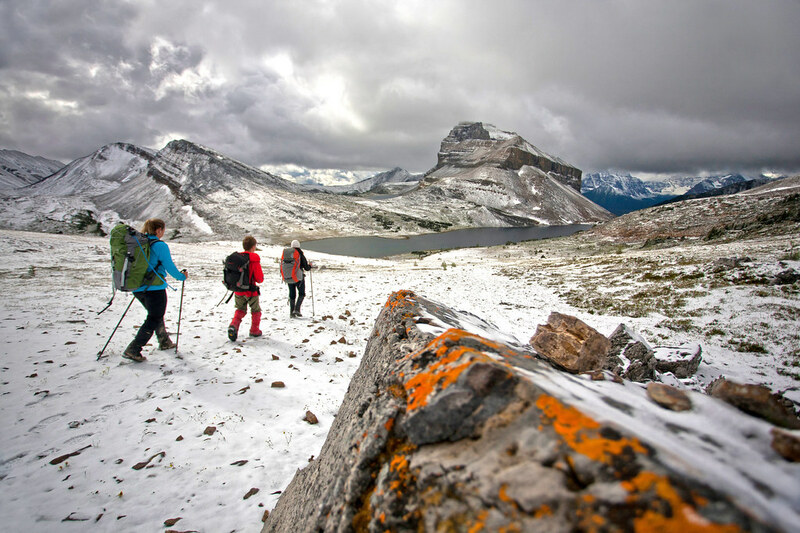 High in the alpines of Banff National Park, at the end of an eleven kilometre trail from Lake Louise, Skoki Lodge is the gateway to breathtaking mountain ridges, valleys and crystal lakes. This backcountry Lodge is only accessible by hiking or skiing and has a true back-to-nature mentality. Just ask Prince William and Kate, Duchess of Cambridge, who stayed at the rustic lodge in 2011. Chef, Katie Mitzel, hovers over the wood-fired creating gastronomical masterpieces from local ingredients and seasonal fare. Think seafood chowder, Alberta beef, Canmore coffee, cheese and wine. It is official - people will travel far and wide to enjoy the electrifying energy of a good footy match. Recent research carried out by Booking.com* revealed that 65% of people who travel for sport have travelled specifically for football in the past year. 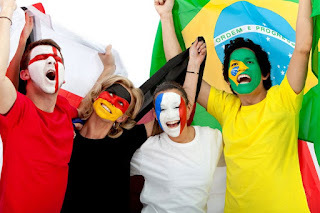 It's by far the most popular sport globally to travel for, and over one in five (22%) football fans would travel 10 hours or more for their favourite team. Yet 41% of those travellers said they don't even consider themselves to be super fans. The research also finds 98% of football fans who travelled for sport did so because they love the atmosphere, and 97% agree that it gives them memories which last a lifetime. Fans have priorities other than national identity and attending a football match is about much more than just the sport itself. Going to one is a great way of being a tourist; an ideal opportunity for travellers wanting to mingle and immerse themselves in the local culture. So Where To Experience Football At Its Best? The captivating Catalonian city of Barcelona pulsates with passion for football whenever a big event is going on. Whether you visit during an international tournament or when the city's team, FC Barcelona, is playing at home, you'll notice the entire city is brimming with excitement. Even if you don't have tickets to the colossal Camp Nou stadium, sitting al fresco at a Spanish bar to catch the game is an equally atmospheric experience. Home of FC Bayern Munich, this city is known for both its football and its beer. Of course there's a lot more to it than that but since German fans appreciate being with other fans the most, Munich is ideal for mixing with locals. Allianz Arena is Munich's big stadium but its picturesque Bavarian streets are lovely to wander in between matches and boast a buzzing nightlife and cultural scene. With the highest percentage of super fans in Europe, football is a massive part of Milan's identity. Even if you're not supporting AC Milan or Inter Milan, a visit here that takes in some football will guarantee you'll get swept up in the local fervour. And after the match, celebrate or commiserate over some mouth-watering Italian food – the Milanese do a mean buttery risotto. Colourful and culturally-rich, Manchester is a great city break destination full stop. Red brick houses and a canal system decorate the city and the vibe is lively, with a hedonistic nightlife. It also has two football teams, Manchester City and Manchester United, the latter having boasted football royalty including David Beckham, Cristiano Ronaldo, George Best and Eric Cantona. And football is a huge part of the city's character, so expect to get a real taste of Mancunian life whether you head to the Etihad Stadium or cheer from a pub. As a host city for the UEFA Euro Cup, Lens is in the travel spotlight this year. A former coal-mining town, it's heralded as a charming and multi-cultural place. With the Louvre-Lens, an outpost of the revered Paris museum, stationed here. This is beer country, so you'll find lots of tasty brews to enjoy with local French cuisine. And of course a thriving football culture. * This data was taken from a survey of 7,921 respondents across 8 markets. Respondents had to be 18 years of age or older, had to have travelled at least once in 2015 and be planning at least one trip for 2016. They also had to have travelled for a sport event or be interested in traveling for sport data was collected in May 2016. Rosedown Plantation is located in the West Feliciana Parish community of St. Francisville along one of the most historic corridors in South Louisiana. The historic presence of the River created deep soil deposits to form uplands that became, in the days of the cotton boom, extremely productive and valuable. In addition to the natural flats, creeks draining to the River created some expanses of rugged, heavily treed terrain that became profitable as timberland. The parents of Daniel and Martha (Barrow) Turnbull achieved high social status in West Feliciana through their immense cotton operations, and Daniel Turnbull himself was known before the Civil War as one of the richest men in the nation. The land that became Rosedown Plantation, named for a play that the Turnbulls saw on their honeymoon, was assembled not by the then-usual method of Spanish Land Grants, but in a group of seven purchases made by Daniel Turnbull from the 1820s through the 1840s. At its largest, Rosedown Plantation comprised approximately 3,455 acres, the majority of which was planted in cotton. Daniel and Martha Turnbull began construction on the main house at Rosedown in 1834, completing it by May the following year. The home was furnished with the finest pieces available, most imported from the North and from Europe. 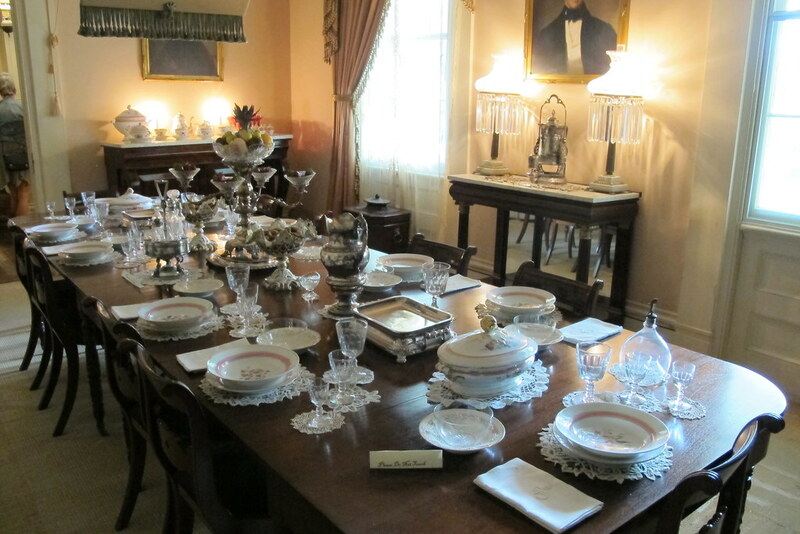 A surprising amount of the furnishings purchased by the Turnbulls remained with the house during the years after the Civil War and many original pieces are still on display at Rosedown. The gardens were the province of Martha Turnbull throughout her life. The Turnbulls’ honeymoon in Europe included great formal gardens of France and Italy, an influence seen in Martha's activities at Rosedown. The gardens grew out from the house over a span of many decades, to cover approximately 28 acres. In the 19th century, Rosedown was one of the few privately maintained formal gardens in the United States. The contribution of slave labor to the construction and upkeep of the plantation, as well as agricultural prosperity and wealth accrued by Daniel Turnbull, was immense. During peak years of cotton production, operation of Rosedown utilized as many as 450 slaves. In the 1950s, Turnbull family members decided to try to sell the old plantation whole. 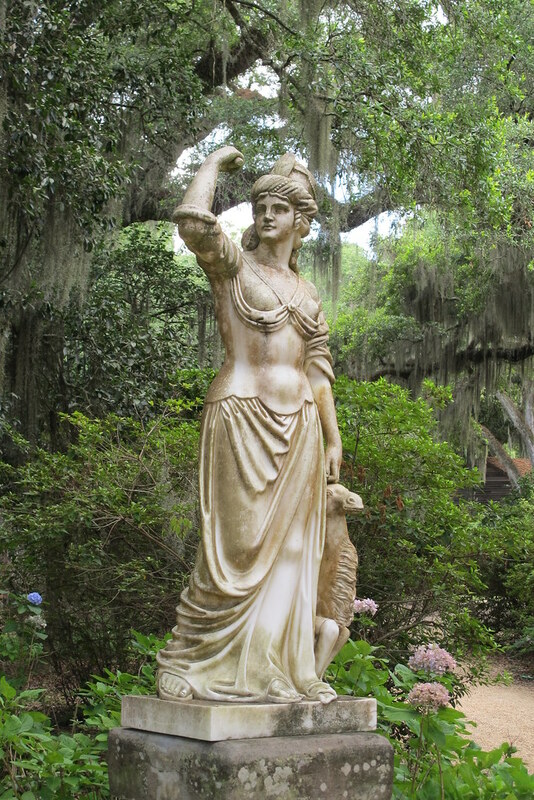 In 1956, Catherine Fondren Underwood, herself an enthusiastic amateur horticulturalist, purchased it and began an eight-year historic restoration of the house and formal gardens. The emphasis on restoration rather than renovation was applied to the formal gardens as well, which were reconstructed by Ralph Ellis Gunn using Martha Turnbull’s extensive garden diaries. When possible, the same species and varieties were replanted. When plants in Martha’s inventory were discovered to be no longer available, the staff of gardeners would propagate them from plant stock surviving in the gardens. Through this process, the gardens, as well as the house, were returned to their original state. 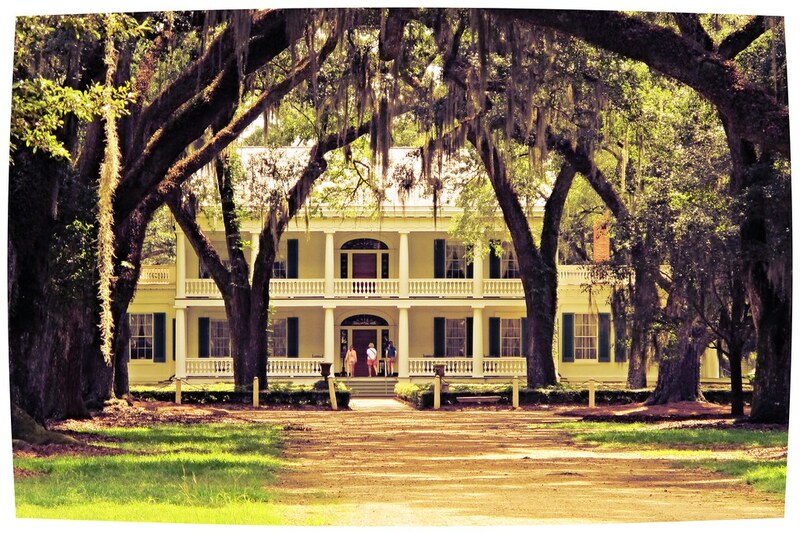 Currently, the main house, historic gardens and 13 historic buildings and 371 remaining acres of Rosedown Plantation are preserved as a state historic site by the Office of State Parks. State Parks staff and volunteers work to conserve and maintain the site, conducting tours and programs to illustrate plantation life in the 1800s. In 2005, Rosedown Plantation was place on the National Listing of Historic Landmarks. Directions:The site is located in West Feliciana Parish, in St. Francisville on La. 10. From Baton Rouge, follow US 61 north to La. 10, then turn right and head east one-quarter mile to the front gate. Hours of Operation: 9 a.m. to 5 p.m., daily. Tours: Guided tours are offered on the hour, with the final tour beginning at 4 p.m.
$4 for students (age 6 through 17). MALAYSIA'S LANGKAWI, MORE THAN JUST A PRETTY FACE. One of Malaysia's best-known and most popular beach destinations, Langkawi, is a stunning archipelago of 99 islands in the Andaman Sea adjacent to the Thai border. The largest of these, Langkawi, features a range of breathtaking beach side resorts, making it a popular choice for anyone who adores beautiful beaches and luxury hotels – and especially couples seeking a romantic escape. But there is definitively more to Langkawi than a honeymooner's retreat. The island's outstanding geological landscapes have earned it the geo-park title by UNESCO – making it the only geo-park in Southeast Asia, and one of only 50 worldwide, and its best attractions make the most of the natural landscapes, expansive parks, and iconic structures that no first-time visitor should skip on their travel itinerary. Add in a rich history, amazing food, excellent diving opportunities, exciting nightlife and dirt-cheap shopping, and Langkawi is guaranteed to appeal to every traveller no matter what your tastes and budget. 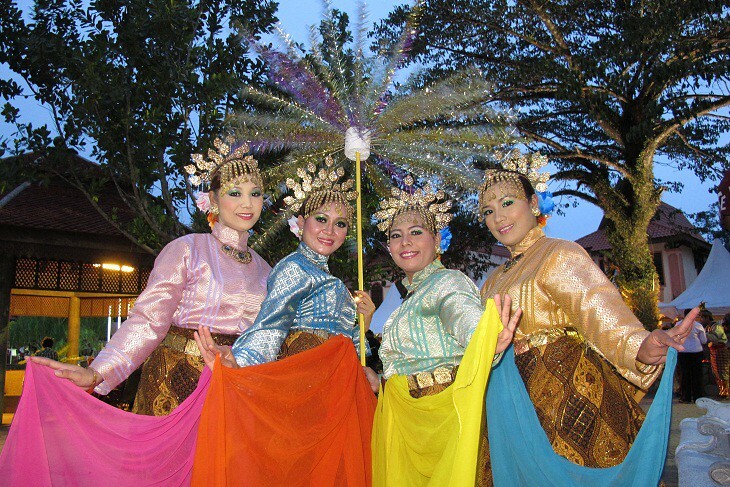 Here is Tourism Malaysia's guide to Langkawi's top six 'don't miss' attractions. Langkawi is rightly famous for its pristine beaches. Datai Bay, Pantai Cenang, and Tanjung Rhu are rated among the best in the world, while vast roads provide easy access to its vibrant beach towns. But arguably the best beach on an island famed for them is Tengkorak Beach or, literally translated, 'Sands of the Skull Beach'. Pasir Tengkorak is often overlooked by tourists who settle for the famous Cenang Beach on Langkawi's southern side. However, as locals will attest, it is simply beautiful and beautifully simple, surrounded nature for 360 degrees. A standout attraction is the spectacular, Temurun waterfall nearby – an ancient 200m, three-tiered cataract, which is one of the highest beachfront waterfalls in the world. A great option for casual picnics and stretching out on a towel for a few hours, this pocket-sized beach is unlikely to become overcrowded, except on weekends. 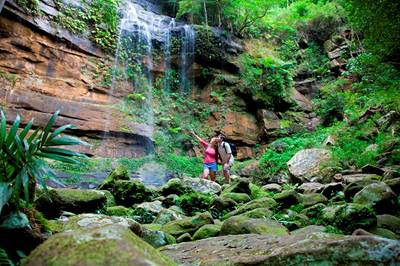 It is nestled between two small headlands and the waterfall is only a few minutes by car to the west or a 15-minute trek. 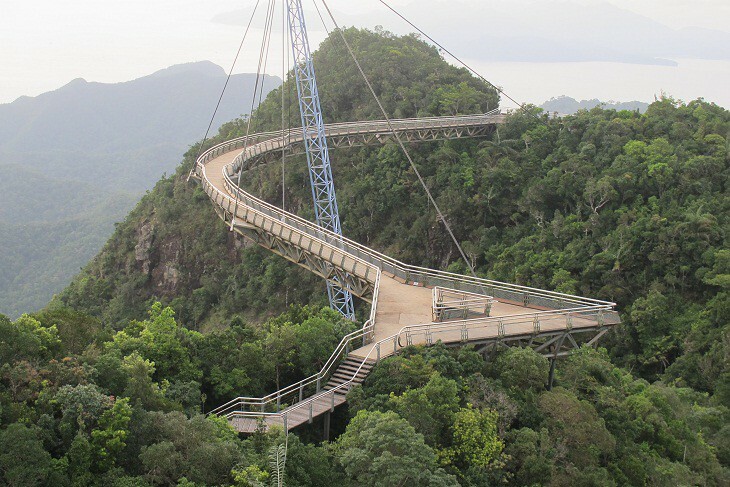 The Langkawi Sky Bridge is a 125 metre-long curved pedestrian bridge that offers an exhilarating (and sometimes terrifying) view of the verdant Gunung Mat Cincang, stunning Telaja Tujuh waterfalls, and several islets surrounding Langkawi. Set 700 metres above sea level, it is only accessible via a vertiginous 15-minute ride aboard the Langkawi Cable Car ride. The sturdy Sky Bridge can accommodate up to 250 people at a time, with two triangular platforms where you can relax and enjoy the cool breeze. Set along the vibrant Pantai Cenang beach town, Underwater World Langkawi houses more than 500 species of sea creatures including harbour seals, rock hopper penguins, seahorses, as well as flamingos and mandarin ducks. A highlight is a 15-metre walkthrough underwater tunnel, where you can enjoy close-up views of sharks, giant stingrays, and green turtles. And when you tire of the life aquatic, head next door to the Zon Shopping Paradise and Coco Valley and indulge in a great selection of duty-free goods. With an altitude of 881 metres, Gunung Raya is the highest peak in Langkawi. According to local beliefs, the mountain is the cursed form of a giant called Mat Raya, who had once dwelt on the island. The dense rainforest is home to numerous wildlife such as leaf monkeys, flying foxes, macaque monkeys, squirrels, mountain hawk eagles, white bellied sea eagles, and great hornbills, making it one of the best hiking destinations on the island. Just 30km south of Langkawi Island is Pulau Payar Marine Park, offer up some of Langkawi's best snorkelling and diving opportunities. Just 45 minutes away from Kuah Jetty via catamaran or a speedboat, one of Pulau Payar Marine Park's best features is its Coral Garden, a secluded section filled with colourful corals. Those eager to explore the park will have to obtain permission from the authorities (fishing is strictly prohibited) before venturing into the waters. Alternatively you can join a tour group, which is usually inclusive of snorkelling gear, lunch, and drinking water. Telaga Tujuh Waterfall is a spectacular natural Langkawi attraction, that locals claim is home to the island's faeries. Set on Langkawi's western headlands, its name means Seven Wells Waterfalls, referring to a series of seven connected natural pools fed by seven separate waterfalls in Gunung Mat Cincang. Visitors can enjoy a dip in the cool water or brave the steep long climb to the top of the waterfalls, past huge rocks and through the seven pools, where macaques, hornbills, and squirrels can be spotted along the journey.